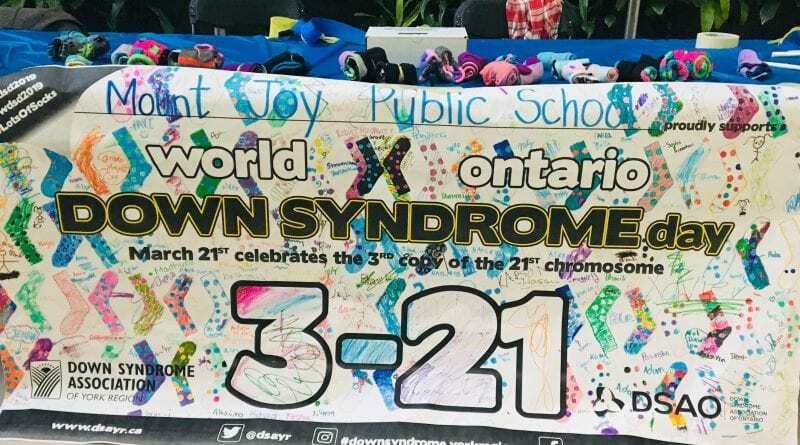 In honour of World Down Syndrome Day, students at Mount Joy Public School hosted a Lots of Socks event on March 21 at Cornell Community Centre to raise awareness about the genetic disorder. Students provided those attending with new mismatched socks purchased with funds from an Ignite Technology Grant and provide attendees with an opportunity to explore a sensory room and indoor playground. Down Syndrome is a natural disorder emerging from a chromosome defect, causing intellectual impairment and physical deformities including short height as well as a broad facial profile. Individuals with this disorder have three copies of the gene on chromosome 21. 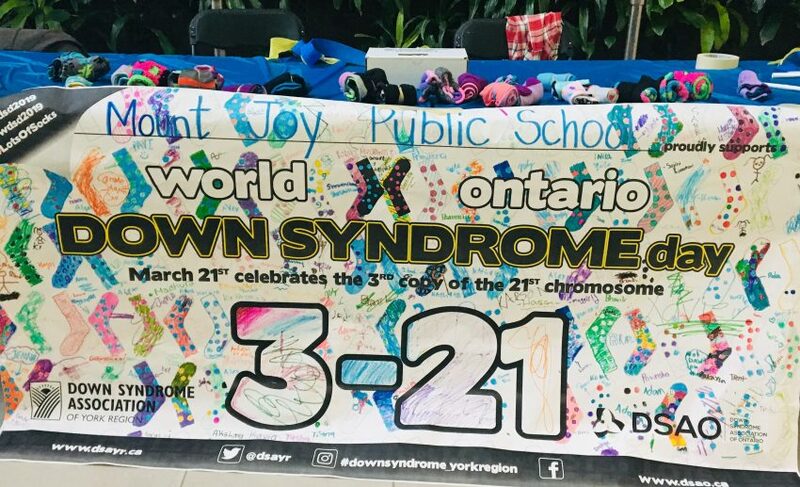 World Down Syndrome Day is a day devoted to helping raise awareness, including what it means to be a person living with the disorder and how individuals with Down Syndrome play an important role in our communities. The purpose of wearing mismatched socks is simple, yet powerful. It inspires people to celebrate and embrace their changes. Wearing mismatched socks is also meant to help kindle conversations about our strengths and weaknesses, our uniqueness and how we are accepting of everyone, regardless of their mental and physical state. Photo: Mount Joy students recently hosted a Lots of Socks event to increase awareness about Down Syndrome.